If you are like me, you use google for something every single day. I use the search function most often, but I also use google translate, images, currency exchange, maps, drive, and gmail daily. These resources help me be infinitely more productive in my day to day, but they also help get me discovered by more and more readers. And now I’m going to give you the keys to becoming google fluent and using the power of google to get found. The first thing you need to do to take advantage of google’s fantastic tools is to sign up for a gmail account. You will need this login to access and take full advantage of all the other tools we will be discussing in this article. You can’t write an article about google without talking about their search engine. Search has forever changed the way we interact with the internet. The Internet used to pull you into different sites via annoying pop-up ads and such, but search has killed all that. Now, to get found, you need to be on page one of the google search results, and to do this, you must be search engine optimized. There is another article here on author discovery all about SEO, so I won’t go into that detail in this article, but there are ways to position yourself so you get that coveted first page slot. Search also helps me get discovered by readers via google adwords – the google keyword advertising platform and google alerts – which allows me to monitor all the searches and discussions happening around topics of interest to me. The first year of my book’s launch, I leveraged google adwords extensively, both on youtube and on keyword search. My book trailer received over 7,000 views as a result and my Amazon buy-page link was clicked thousands of times. Unfortunately, all this activity didn’t translate into a measurable impact on sales, but then I realized it was because I triggered this spend too early in my book’s life cycle. Had I waited until now when I have a book with seventy-two 5 star reviews, 9 literary awards won, and a nice high ranking on Amazon – I might see the bump in sales I was looking for. Remember, it’s not enough just to get readers to your buy-page, you need to convert their interest into trial and purchase of your book. Google alerts has been a completely different story, however. I use google alerts primarily to keep tabs on genre related content from around the web. I’m specifically looking for the hottest blogs, articles, and other posts related to my genre so that I can be a part of the conversation in near real-time. One of the best ways to get found by readers is to have an active presence on sites they visit. This presence can come in the form of guest posting but most often comes from simply commenting on articles of interest. Most blogs and websites these days require you to login to comment and this login can be used to help readers track you back to your own website and social media properties. Think about your user name, because this is what people will see when you comment. I always identify myself as authordiscovery or Author Qwantu Amaru, which usually is good for a few googles from others who visit the same sites that I do. Another very helpful tool from google is google forms available via google drive (formerly known as google docs). Google docs is basically google’s version of Microsoft office, but it is much more than that too. You have a word processor (like Word), a presentation builder (like powerpoint), and a spreadsheet tool (like excel), but you can also store and share other file types from videos to pictures. Documents you create there can be shared with a select group of people, made private, or shared with the world. Basically, you could write a short story via google docs, upload it to the web, and allow readers to re-write the ending (how cool is that!). Google forms allows you to easily collect customer information on your website or blog that you can then use to convert their interest into a purchase. The information customers enter is imported into a simple spreadsheet and you can copy and paste from their to your gmail account to follow up with potential leads. You could use google forms for website contests or to have readers sign up for your newsletter. 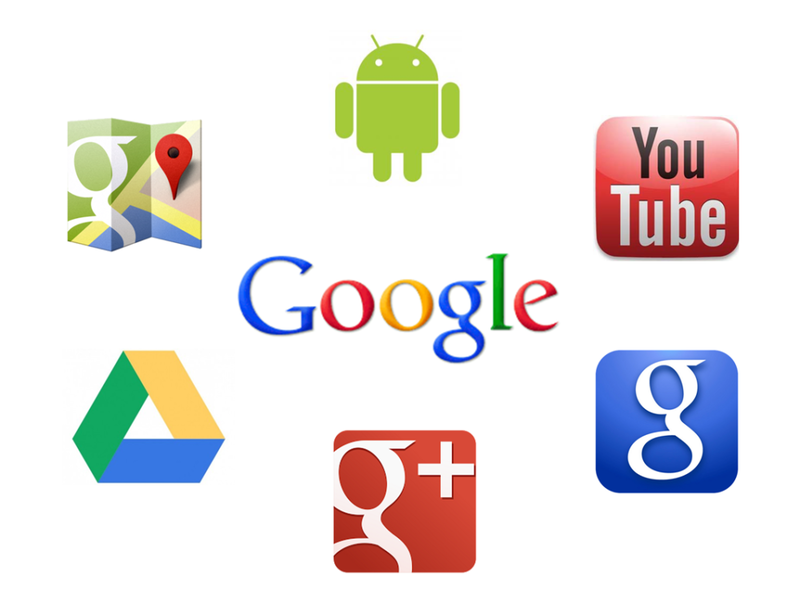 The last google tool that will get you discovered by readers is of course google+, google’s nascent social network. Similar to facebook, google+ is a place to share, comment, and discuss on content of interest to you. Google+ allows you to organize your life into various circles or groups. You can also start or join specific groups of interest on google+. Where google+ trumps FB is that your google+ profile page will usually show up pretty high in the search engine rankings, and also when someone adds you to their google + circles, you now have their e-mail address which can be used to create a more lasting connection. The google+ newsfeed is also less of a moving target than FB’s so the likely hood of your posts going unseen is far lower. Google+ also allows you to create hangouts, or group chats. You could use hangouts to interact with a book club or other interested group of readers. So what are you waiting for? Sign up for gmail today and start taking advantage of the world of resources google brings to your fingertips to get found by more readers! Now it’s time to discuss one of the most important players in Author Discovery today, Amazon.